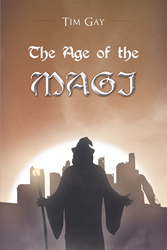 Recent release “The Age of the Magi” from Page Publishing author Tim Gay is the crafting of a new mythology which takes place in the not-to-distant future once humans have nearly managed to destroy themselves and humanoids begin to take their place. Tim Gay, a dedicated author and family man, has completed his new book, “The Age of the Magi”: a portrait of mankind’s fight to survive in a perilous world inadvertently created by its obsession with perfecting the human being through nuclear, genetic, and robotic research. Published by New York City-based Page Publishing, Tim Gay’s exhilarating tale portrays a human race that is minimized but not defeated. With its former grasp on supremacy eradicated by ungoverned research practices, nuclear experimentation and the creation of humanoid creatures that rival them in many ways, mankind unites to harness the innate magical powers inherent in the earth. As in any setting where the monsters are of massive proportions and the stakes are insurmountably high, a man of unprecedented characteristic is born. This hero is named Agamoth, but his accolades will extend far beyond just being a dedicated student of magic by the end of his story. Readers who wish to experience this epic work can purchase “The Age of the Magi” at bookstores everywhere, or online at the Apple iTunes store, Amazon, Google Play or Barnes and Noble.